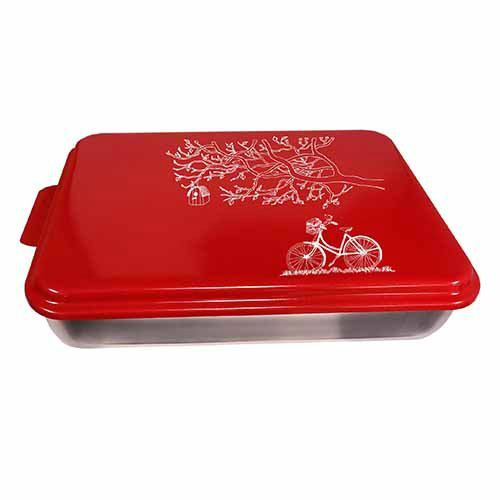 The Nesco NCP-B-6 is a cake pan with a beautiful Bicycle Under Tree design on the lid. With its elegant look and design the pan can well suit your kitchen when pan not in use.The lid is domed with a high gloss enamel finish and is made with aluminium. This cake pan can also be a great idea for gifting. The Nesco Bakery Cake Pan - Red has many exciting features for users of all types. 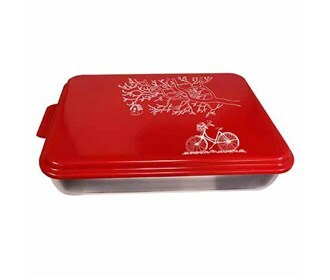 You can extend the lifetime of your Nesco Bakery Cake Pan - Red with the purchase of a FactoryOutletStore Factory Protection Plan. The Nesco Bakery Cake Pan - Red is sold as a Brand New Unopened Item.